Beginning March 31, 2019, Philippine Airlines (PAL) flights to and from New York (JFK), Auckland (New Zealand), Hanoi (Vietnam) and Phnom Penh (Cambodia) will use NAIA Terminal 1 for both departures and arrivals. From March 20 to March 30, PAL’s flights to New York (JFK) will continue to depart from Terminal 2 and arrive at Terminal 1; while flights to and from Auckland will continue to depart from, and arrive at, Terminal 2. Following is the updated list of PAL flights departing from and arriving at NAIA Terminal 1 starting on March 31, 2019: Manila—Auckland—Manila; Manila—New York (JFK)—Manila; Manila—Toronto— Manila; Manila—Vancouver—Manila; Manila—Hanoi—Manila; Manila— Phnom Penh—Manila; Manila— Dammam—Manila; Manila—Doha— Manila; and Manila—Riyadh—Manila. However, for other USA and Vietnam flights, PAL said the following schedules should be noted: flights to Los Angeles and flights to San Francisco will continue to depart from NAIA Terminal 2; flights from Los Angeles and flights from San Francisco will continue to arrive at NAIA Terminal 1; flights to/from Honolulu will continue to depart from/arrive at NAIA Terminal 2; and flights to/from Ho Chi Minh City/Saigon will continue to depart from / arrive at NAIA Terminal 2. All international flights other than the above departing from or arriving in Manila shall maintain the current terminal assignments. 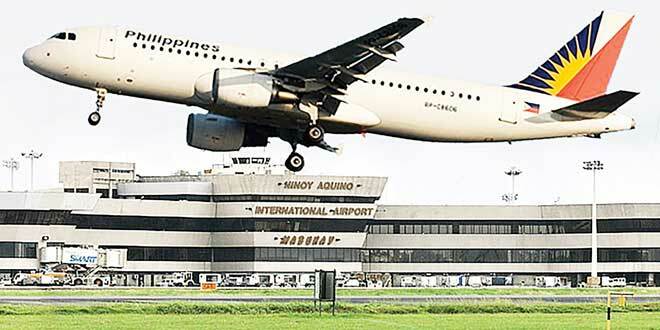 PAL advises passengers to double check the terminal assigned for their specific PAL flight.